The architect of a plan to improve roads and bridges in Missouri wants voters to say “yes” to a boost in the gasoline tax. State Sen. Doug Libla won preliminary approval in the Senate for a revamped plan to hold a statewide referendum in November on whether to raise the state’s 17-cent-per-gallon motor fuel tax by 5.9 cents. That’s a significant switch from an earlier proposal he floated, in which he wanted the Legislature to impose increases of 1.5 cents for most motorists and 3.5 cents for diesel users as a way to generate millions of dollars for road and bridge improvements. Libla, R-Poplar Bluff, said the new plan was a compromise designed to help pave the way for $165 million in new revenue for state highways and bridges. Local governments also would reap some of the added revenue. We and other bicycle, pedestrian, and trails groups across Missouri have been working together with transit organizations like CMT and MPTA to develop a joint strategy to address the transportation funding shortfall in Missouri--including the shortfall in funding for walking, bicycling, and transit. Missouri is facing a crisis in highway funding--one far more serious than most citizens in Missouri realize. But the facts show that the crisis in state transit and pedestrian/bicycle funding in Missouri is even worse than the highway funding crisis. • Missouri ranks 44th of the 50 states in public transportation funding. • Missouri spend just 9 cents per capita on public transportation funding; our bordering states average $2.85 per capita (excluding Illinois, which spends $66.30 per capita). 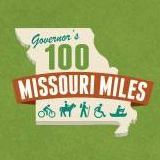 • Missouri provides no state transportation funding for walking or bicycling. • People in every Missouri county depend on public transportation, walking, and bicycling for access to vital jobs, school, and medical care. This is an issue for communities large and small; urban, suburban, and rural. • Transportation options that meet the needs of all citizens are vital for a strong economy and the public health. • As a far outlier state in state funding for public transportation, walking, and bicycling, Missouri harms its economy and drives talent and business to more competitive states. Transportation means a lot more than just highways. Support a comprehensive solution to state transportation funding that meets the needs of all Missourians.